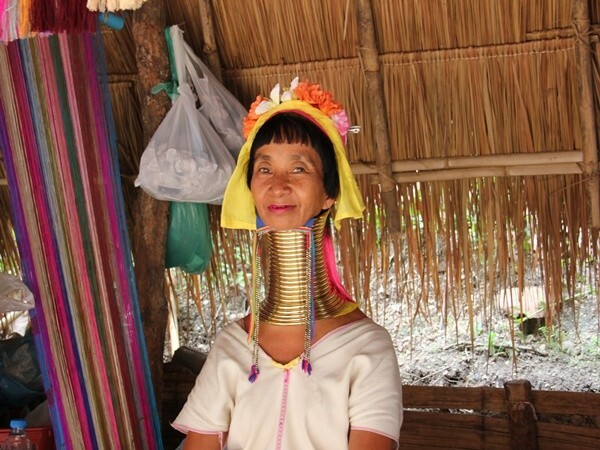 2 Day 1 Night in Tree House Village + Ethical Lanna Kingdom Elephant Sanctuary ( NO RIDE ) + Bamboo Rafting + Long neck village + Trekking to Waterfall and stopping at Tiger Kingdom. The Best 2 day 1 night Tour Ever. Tour start from Chiang Mai..
• Pick you up from airport or/ your hotel in Chiang Mai city. 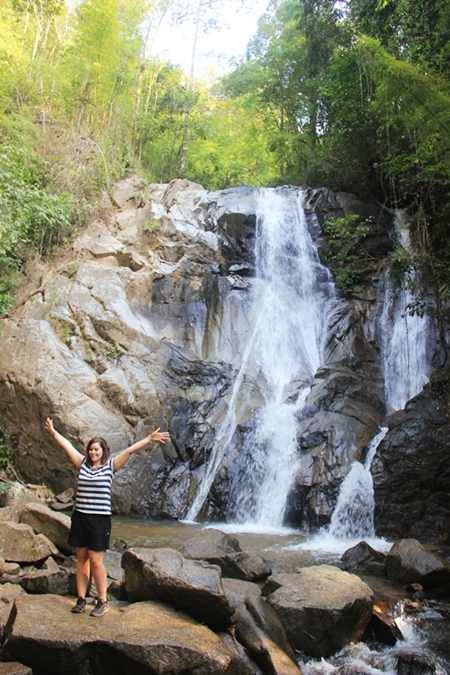 - Drive toward the Northeast of Chiang Mai. 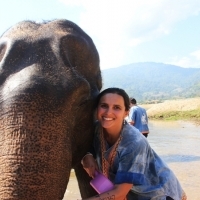 - Stop at Local market to sample local snack and buy bananas for elephants. 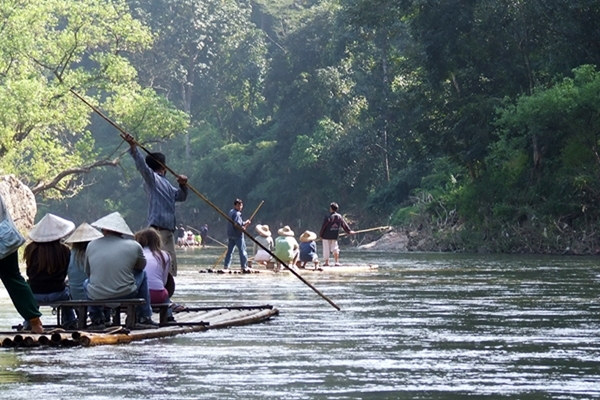 - Relaxing with Bamboo rafting for 50 mins along scenic Mae Tamarn River. - Have lunch at Local restaurant with testy Thai food. 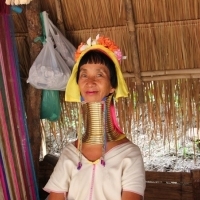 - Stop to visit the Long neck women in their village and take pictures with them. - Arrived at our Tree House Village in Chiang Dao, where we'll spend over night at incredible Tree house resort with beautiful nature environment and jungle. you will be able to walk around in the village to see the life style of local people. 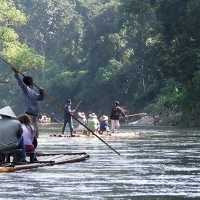 - Relaxing and cultural exchange with local people. 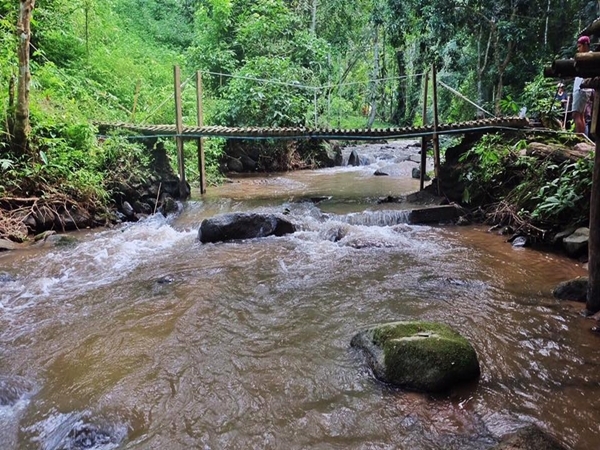 - After breakfast, we will start the trekking to the waterfall with beautiful jungle and mountain, it will take about 1 and half hour to hike to waterfall. You'll be able to swim and relaxing there. 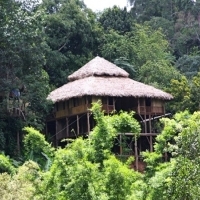 - Trekking back to our Tree house village. 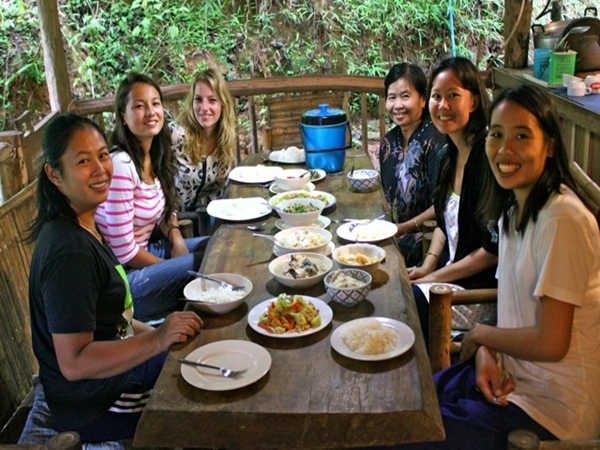 - Lunch will served at tree house, then say good bye to our local family..
- Visit the beautiful local temple. - On the way back to Chiang Mai, you may choose to stop at Tiger kingdom to play with tiger but you have to pay entrance ticket on your own ( optional ) or stop at the orchid farm to take photos with beautiful flower. 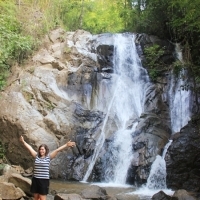 - Drop you off at your hotel in Chiang Mai or/ transfer to the airport and end of wonderful package tour..
* We'll provide outfits and towel for you at elephant sanctuary but please brings swimming suit for swimming at waterfall. 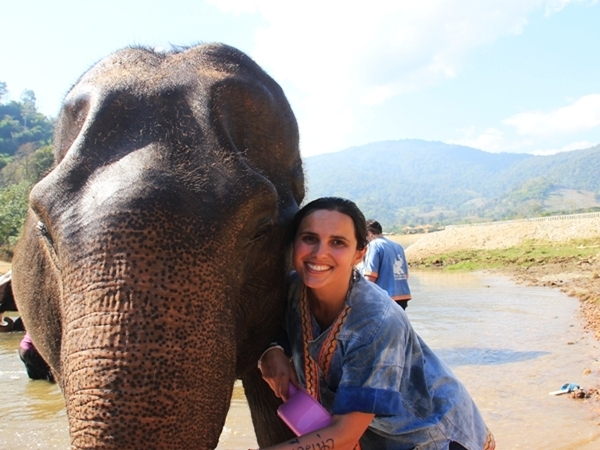 * Our elephant sanctuary is : LANNA KINGDOM ELEPHANT SANCTUARY. * This tour is private tour, just for your family. we will take very good care of you. 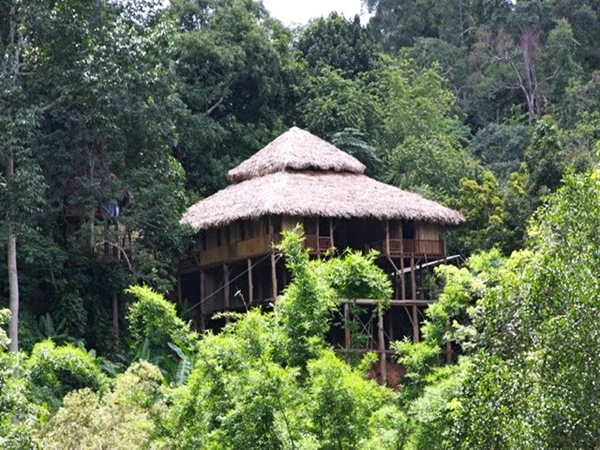 Our Tree House Village is : Chiang Dao Tree House Village. Feedback review from our clients : " Trip of Lifetime ! " - All admission fees to visiting places mentioned in the programs. 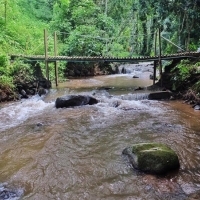 - An experienced and license trained tour guide. - Free picking up from hotel in Chinag Mai city. - First Class accident insurance ( 1,000,000 baht ). 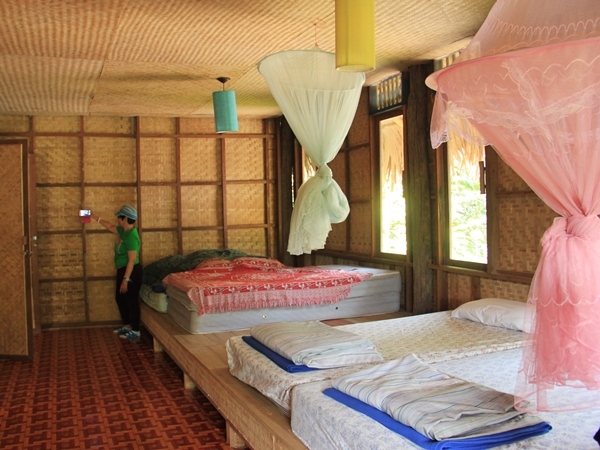 - 1 night Accommodation at our Tree House Village. - Tips for the guide and local supplier. - Towel & A change of clothes. 1. Below 9 years old : at half price. 2. 9 years old up or/ taller than 120 cm : consider to adult price. * Please contact us for more information or any question you may have..?